I thought you might like something a little more pleasing to the eye than those tables which I have to update regularly of the retirement going, going, gone lists! 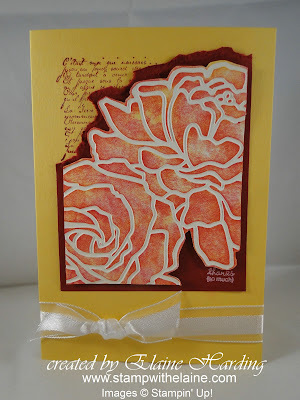 This is one of the techniques we did with my club members this month, a debossed brayer inking effect using the Manhattan Flower Folder. The other stamp sets I used were Vintage Vogue for the sentiment stamped in Whisper White Craft ink and the lettering from the French Foliage set. 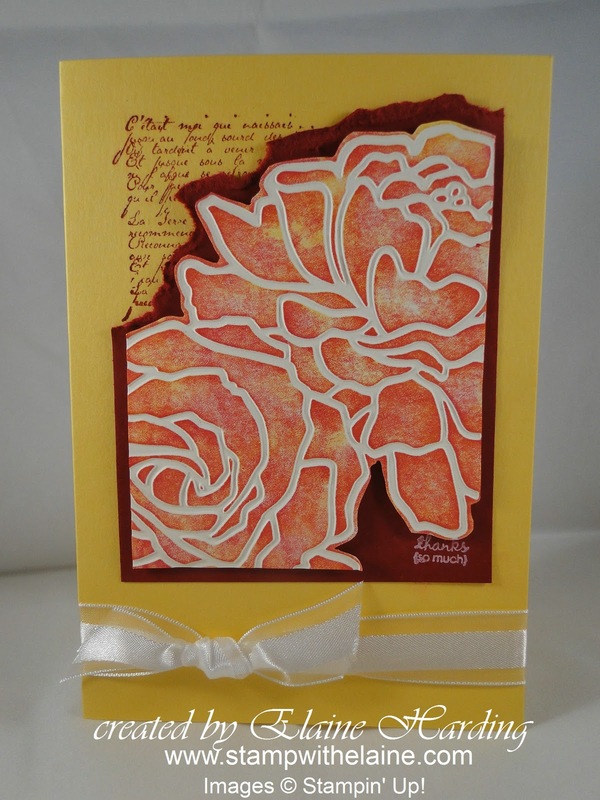 Daffodil Delight teamed with Cherry Cobbler makes for a striking colour combo. Am loving the debossed effect. Hope you do too.